The internet offers an incredible platform for a wide range of businesses. With plenty of business platforms to choose from, consumers value powerful companies. This is why it is imperative to generate good traffic for your business by improving its visibility. Generating the right and consistent traffic is the foundation of any online business. Note that if you do not have traffic, it is impossible to get loyal and long-term clients. This can cripple your business and lead to enormous losses. Why risk such? It is imperative that you build the best brand visibility to survive online. You can do this by instituting yourself regularly as an authority through the lens of search engines. It is the way to go because Search Engine Optimization techniques change over time. Therefore, you need to stay up to date with current trends. 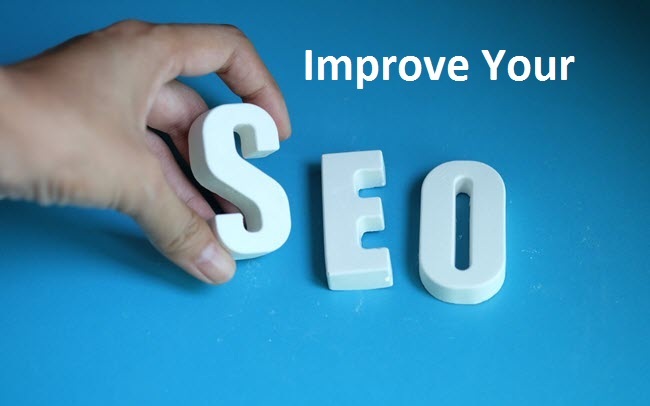 This article helps you to understand how you can improve your SEO and safeguard your online business is 5 amazing ways. Content plays a significant role in determining the number of visitors you will have on your site. Ensure that you generate relevant and high-quality content for all your posts. Identify your target audience, evaluate their needs and generate content that appeals to them. With such content, you can be sure that users will spend quality time on the site. Note that dwell time impacts your search engine ranking. For this reason, focus on creating useful, relevant and quality content. Make the content worthwhile and valuable. For example, you can write up to 2, 000 words in your posting. Such content has the right keywords and valuable details to the reader. Most importantly, choose your keywords wisely to improve your overall SEO ranking. In this case, consider a keyword research. Choose keywords that are relevant to your field. You can list down your keywords using keyword planner tools to find the most relevant keywords for your content. Long tail keywords are ideal for generating mammoth traffic because users find them with ease. The speed of a page is another significant strategy that you can use to improve your SEO ranking. This is because Google Algorithm considers the speed of page load in website ranking. If you need the best traffic and high search engine ranking, ensure that you fully optimize page load speed. Apart from Google, internet users also prefer pages that load fast, thanks to the adage time is money. For this reason, get rid of the content you don’t need on your site to boost your ranking and user experience. Google also ranks sites based on their link worthiness. In this regard, it is wise that you get the right backlinks for your site. Search engines will rank your site best if you have quality backlinks. Therefore, take time to source for worthy links and from authoritative platforms. You may want to look at your competitors’ links to get the best backlinks for your business. In the event of broken links, fix them as soon as possible. Google will assume your site is neglected if its keeps displaying 404 errors when a user tries to access it. The number of mobile users has increased tremendously over the past years. Optimize your site and make it mobile friendly for top Google ranking. This is because Google implemented a plan that prioritizes sites that are mobile friendly. Check out magento mobile template by Codester. Facebook, LinkedIn, Twitter and Alibaba are just a few online platforms that have attracted billions of users over the past few years. You need to create your brand visibility across these platforms to increase your ranking. Google often looks at the way you engage with the target audience to rank your site. For this reason, take time to gain the best online recognition, create quality content for your clients and share with all your followers. You will promote your brand and in the end, increase your search engine ranking. ranking, you can start generating the right traffic for your business. Implement these strategies and use the right SEO tool to enhance your online visibility. https://serpbook.com is known to be an effective and reliable SEO tool that can help you realize your dream of having your website rank among the top in search engines.